So 3 of my favorite shows have premiered with new seasons and here is a quick review of each of them shows so far. Big Brother is now in it's 13th season and this year, they have focused on the theme of couples. They have even brought back 3 couples from previous years to compete with the new contestants. 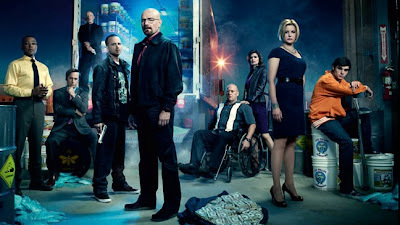 Overall I like the show, but one thing that I have noticed this season is that there is no protagonist. What I mean by this is there is no one that has stood out as the "good guy", you know, the person you want to support. Maybe it is just me, but I haven't connected with anyone yet. There is so much dishonesty and backstabbing going on and we are only in the 2nd week. I'll give it a few more weeks and hopefully a hero will emerge from all the villains. Curb Your Enthusiasm is back and hs had 2 new episodes so far this season. Overall, I have not been too impressed. The episodes have been ok, but certainly not anything we haven't seen before. I think this is the problem. We have watched 7 seasons of Larry David saying the wrong things and getting himself into trouble, and the theme is starting to grow old. They need to change it up a bit to make it fresh. Hopefully the supposed move to New York will be just what it needs. I would like to see more celebrity guests on the show. I was watching Regis and Kelly the other day and Regis mentioned how he would love to be on the show, but Larry didn't invite him. I think Regis would be awesome on this show. Anyway, hopefully the season picks up soon. Breaking Bad just had it's first new episode of season 4 yesterday. I just finished watching it and overall it was ok. At times it was somewhat slow, but at other times it was intense and shocking. This show always keep you on your toes and I can't wait to see what the writers have in store for us this season.